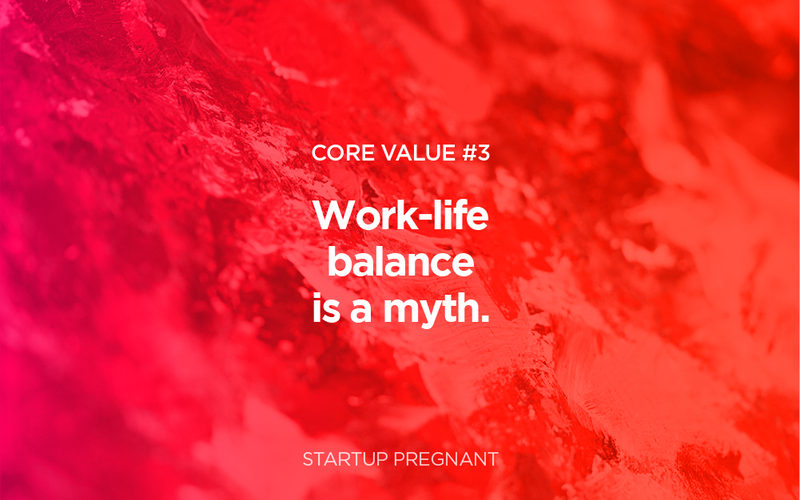 Core Value: #3: Work-life balance is a myth. There is fit and there is tension. The strive towards some sort of perfect work/life balance is a myth and a fruitless exercise. Life is always changing, and our goals—many of them—are often in tension with each other. That tension often creates interesting results; for example, many women have shared that they adore their businesses and work lives, and their families have created a hard edge and new set of boundaries in how they approach work. Instead of some idealized “balance,” we strive to find the right fit for us as individuals, in this moment, in this season. 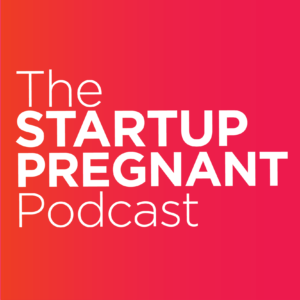 In this special mini-series, we’re looking at the 10 Core Values of the Startup Pregnant Philosophy. These are the values that underscore everything we do, how we do it, and even how we design our interviews! In today’s episode, we unpack core value #3. I love this idea that balance takes ongoing work and is always evolving, and I love the yoga analogy you shared. Even in the sturdiest-looking handstand there are a series of micro-adjustments keeping that person from falling to the ground. To me, the biggest takeaway here is that in any work environment, it starts with me defining my work/life needs. I feel like I’ve often been disappointed in the flexibility for work/life balance offered at specific jobs, without necessarily defining what I specifically need. Yes! Defining needs is so huge because then it allows you to remove anything that doesn’t fit. So much of finding our “YES” is also figuring out what we don’t care about or we’re willing to say NO to. Even in a handstand … you’re saying no to 900 other poses. This was a great podcast and made me think about my own work-life balance, or lack there of. The “balance” is always evolving in our household and it’s very different for each of my friends that I talk to about this issue. The 2 always mesh into one another with the use of phones and laptops and the constant work, but we are trying more to be “present” in the moments with our children. This, I am finding, is very hard to do with demanding jobs and 3 kids. I am absolutely with you on “work-life balance” being a myth, and this is something I actually speak about quite often within my professional community (I chair a Women in Design committee). To me, the premise of “balance” suggests that there are two things to be balanced – in this case, two versions of me. But there are not two battling versions of my person, there is one. And that one may have many facets – mother, wife, architect, partner, friend – but these are pieces of one whole in my mind. If my infant spits up on me on the way to daycare, it’s the same me wearing a stained shirt when I arrive at work. If my office is working overtime to land a new project, it’s the same me that is preparing for an interview while breastfeeding (sometimes in the office…) I’m still a mother while I’m at work, and still an architect while at home. And I don’t see these as competing roles, I actually believe I’m better at each role precisely because of one another. I do think there’s a skill at trying to be actively present when transitioning between roles (a skill I’m continuously trying to grow!) but at the end of the day, I refuse to consider it a balancing act. It’s more of an orchestration of how to be the best version of myself and get the most joy out of one whole life, a life constructed of many lovely facets. And also I love this whole discussion – keep it coming! Kelly, I love this idea of the layering of everything together and finding ways to be actively present within each moment or role. Thank you so much for chiming in!